Do you know what vitamin B12 is? B12, also known as Cobalamin, is a very important B vitamin. It plays a huge part in creating and regulating our DNA and red blood cells; as well as in the normal function of the brain and the nervous system. Constipation, diarrhea, loss of appetite, or flatulence. Nerve problems, such as: numbness or tingling (like muscle weakness). Mental problems, like depression or memory loss. healthier or with specific diets), so, the answer to this question can also be to try supplements, like our B12 shots! So, what are B12 shots? B12 shots are injections that contain high doses of this vitamin. They are used to quickly elevate the level of B12 as the vitamin goes directly to the bloodstream. Many patients feel the benefits immediately and enjoy the boost of nutrients. These shots are usually given to people with B12 deficiency; however, people are starting to see the benefits of B12 shots and use them as a treatment for fatigue and to improve their metabolism. “Although most people are naturally supplied with the correct amount of B12, using a little extra for an energy jolt has no proven downsides,” says Elisa Zied, author of Feed Your Family Right! This is the main reason why celebrities like Charlize Theron, Justin Timberlake and even Madonna are getting vitamin B12 injections regularly. 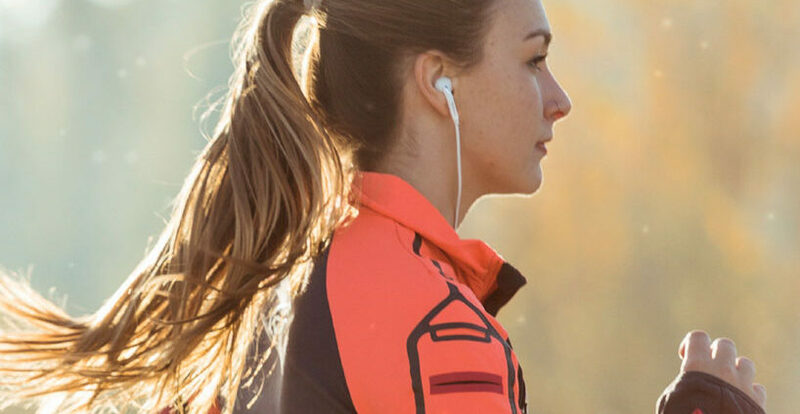 If you want to feel more energetic, this is the one! It also helps with mood elevation and promotes anti-aging. Do you feel like you need more balance? This shot helps you with hormone balancing, mood elevation, anti-aging, anti-inflammatory effects and even gives you energy! More energy, a healthy immune system, great mood, and anti-aging. Do you need something else? Feel the energy and burn fat now! Enhances fat burn, helps with mood elevation, anti-inflammatory effects, and promotes anti-aging. Because beauty also comes from the inside out. Energy boost, mood elevation, anti-aging, plus healthier hair, skin, and nails? Yes, please! Your liver also needs a detox! Help your liver with this shot, while also getting more energy and helping your body by promoting anti-aging. Talk to your doctor before trying B12 supplements. Microneedling is a popular cosmetic procedure chosen by people who want to claim their youthful appearance. It is commonly used to prompt plumpness, minimize discoloration, restore even skin tones, and encourage younger looking skin. Whether you call this procedure microneedling or skin needling, the benefits of scheduling it into your busy routine are many. The microneedling process only takes about an hour long, but it delivers visible and tactile results that last for weeks. Microneedling is a cosmetic process that goes by several different names, including collagen induction therapy and skin needling. A skilled technician gently moves a small wand containing numerous fine-point needles over your skin. Each needle makes a tiny prick in your skin. The body identifies each prick as an injury and begins to immediately trigger a reaction designed to stimulate recovery for your skin. The process is nearly painless, but you will see tiny bits of blood where the pricks were made. You can expect minor redness and residual bleeding for about a day and a half. Despite these mild side effects, you should see visible improvement in your facial appearance immediately after the procedure has taken place. Many of today’s celebrities are choosing not only to embrace this technique but also to share their fondness for it. In fact, an increasing number of today’s celebrities recognize the value of microneedling because their skin as one of their most important assets. Currently, skin needling achieves an 87% thumbs-up approval rating on realself.com out of 584 user reviews. If you aren’t yet convinced, you may want to learn more. Please take a look at the top five benefits of microneedling presented here. As people age, the production of elastin and collagen within the skin begins to slow down, causing unwanted changes in the epidermis. The microneedling process stimulates new production by triggering the body’s response to perceived damage. Even though the tiny pin pricks of the needles on the microneedling wand aren’t excessively large or damaging, the body goes into quick action. Not only does this process enhance the production of collagen but it also stimulates revacularization or the growth of new blood vessels in the skin. Collagen-enriched skin looks plumper and smoother. 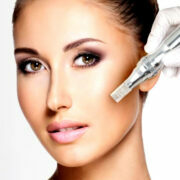 Since microneedling boosts collagen production, it restores plumpness to the skin, creating a more youthful appearance. 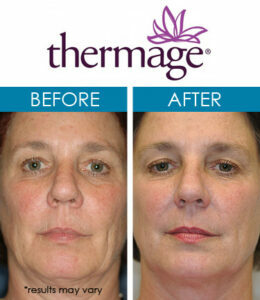 Typically, visible results are apparent within minutes. As each micro-injury receives new collagen, the tiny wounds are filled, restoring a more natural appearance to the treated area. While this cosmetic process does deliver microtrauma to your skin, it does so in a targeted, monitored procedure. If you have any questions, the technician is available to answer your concerns. As long as you schedule your skin needling procedure with a qualified professional and follow all of the instructions, your treatment is safe and gentle. The specialized wand features a small head, which is covered with tiny needles. As the wand is passed over your skin, it vibrates at a high speed. There’s no need to worry, though, because the needles can only pierce the superficial or uppermost portion of your skin. The depth is minimal, but the results are major. The high-powered vibration causes the microneedles to prick your skin thousands of times in just a few moments, triggering skin recovery and rejuvenation. Your skin begins to look better immediately after the procedure. Renewed production of elastin and collagen help to maintain and refine the results, leaving you with smoother, more even-toned skin. Your youthful appearance is semi-restored as the tiny holes are filled with collagen and elastin and your skin looks plumper and fresher for weeks. Facial scarring and pock marks become more common as you age. While establishing a good skin-care routine can help to minimize both of these issues, it cannot eliminate them entirely. In fact, dermal fibrosis or scarring that appears on the skin typically occurs during the body’s wound healing process. Pock marks are often the result of adolescent or adult acne, including black heads, white heads, and pimples. 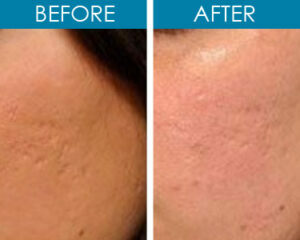 Facial scarring is often difficult to minimize, particularly if the damage also involves pock marks. The deeper the scars are, the more difficult it is to successfully treat them. When the skin undergoes damage due to sun exposure, environmental toxins, or hormonal fluctuations, the skin attempts to heal itself in an attempt to return to its original state. During the natural healing process, the skin is pulled downward, a process that often leads to pock marks with deep crevices and light-to-moderate scarring. This process results in fibrosis or thickening of the skin tissue. In most instances, it is a normal part of the healing process that leads to stiffening of the skin in the afflicted area. Fortunately, microneedling is successful in breaking up the fibrosis, allowing the skin to relax and resurface itself with a smoother appearance than prior to the skin-needling treatment. A number of studies indicate that visible improvement in the appearance of pock marks and scarring can occur immediately in some cases or after just two skin needling procedures for other patients. Various circumstances can affect how quickly optimal results appear, including the depth of the pock marks and scarring as well as the patient’s existing medical conditions. As the microneedling process breaks up the fibrosis beneath the skin’s surface, the pock marks and/or scarring become less noticeable. Your overall complexion begins to look more beautiful as the skin becomes smoother and less constricted. Unfortunately, microneedling isn’t successful in treating all types of scarring. This process offers more beneficial results for scarring that is not the result of surgical stitches or overly large in size. Even so, this minimally invasive procedure provides a safe way to minimize unwanted changes in the skin. Individuals with uneven skin texture can also benefit from the microneedling process because of its ability to smooth the skin’s surface. Looking younger is one of the most popular reasons why women and men seek cosmetic treatments. Reducing the visibility of fine lines and wrinkles is at the top of the list of reasons why microneedling has gained so much popularity in recent years. 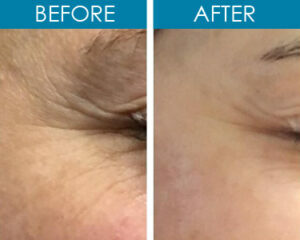 This minimally invasive procedure actually reduces the appearance of wrinkles and fine lines, encouraging a more youthful appearance as it does so. As you probably know, it isn’t easy to get rid of fine lines or wrinkles once they appear. You can’t simply slather on face cream and hope for the best. Wrinkles and creases are the result of damage occurring to the skin whether through the aging process or exposure to environmental elements. It only makes sense that you need to regenerate certain skin processes in order to remedy the damage. Microneedling does so by making tiny pin pricks on the upper levels of your dermis in order to kickstart your skin’s rejuvenation. The damage caused by skin needling is extremely minor but it is enough to encourage the release of growth factors which renew the skin’s levels of elastin and collagen. Your body doesn’t realize how minor the damage to your skin is, which is why it produces a surge of the growth factors needed to help repair the small holes created by the microneedles. At the same time, small blood vessels develop, bringing fresh supplies of oxygen, nutrients, and blood directly to your skin. All of these developments lead to tighter, healthier looking skin as fine lines and minor wrinkles become less noticeable. In fact, as collagen production grows stronger, so does your skin. The process strengthens your epidermis, allowing your skin to resist the changes fine lines and wrinkles inflict on it. As a result, your skin looks and feels smoother and healthier once the procedure is over. Much of the damage created to the skin is caused by sun exposure. Incorporating vitamin-C serum into your beauty care regimen can assist you in maintaining the beneficial results achieved through the skin needling process. Using vitamin-C serum helps to encourage collagen production, a necessary component of restoring the supple nature of your skin. While hyperpigmentation occurs gradually, it usually becomes a permanent issue that mars the natural beauty of your skin. Hyperpigmentation refers to the darkening of certain areas of your skin as excess melanin builds up and stays in place. This condition isn’t serious and doesn’t cause any real damage. Nonetheless, it does take away from an even skin tone, creating a less-than-beautiful countenance. Hyperpigmentation is a common problem and almost anyone can experience it. The changes in skin color occur when inflammation arises from minor injuries, white heads, black heads, pimples, and cold sores. 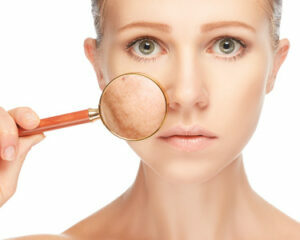 As more of these changes take place, the skin begins to lose its even tone and looks blotchy. Microneedling is often successful in restoring the natural appearance of skin coloration as it reduces the damage caused by hyperpigmentation. It does so by increasing the presence of matrix mealloproteinases, unique enzymes found in the skin cells. You can boost your results if you also include the use of vitamin-C serum to assist in the healing process once your microneedling procedure has been completed. Studies have indicated that vitamin-C serum is helpful in balancing melanin levels in the skin. Women with darker skin tones may want to consider microneedling instead of laser treatments to correct hyperpigmentation issues. Lasers can actually worsen the problem as they make the discoloration even darker, making skin needling the preferred solution. The presence of blackheads can be annoying, particularly if you have many of these small bumps on your skin. Blackheads are caused when hair follicles become clogged by your skin oil that darkens as oxidation takes place. This oil is also referred to as sebum. This type of acne occurs on the face, neck, chest, back, and arms. When blackheads appear, your sebum isn’t doing its job of keeping your skin soft and supple. Unfortunately, an abundance of blackheads can damage your skin, creating large pores and increasing the risk of developing wrinkles and fine lines. Microneedling offers distinctive benefits for anyone suffering from frequent blackhead outbreaks. This minimally invasive procedure opens pores, releasing the blackheads from their clogged status. As the tiny needles gently poke into the skin, they break through the sebum clogs. An immediate reduction in the number of blackheads occurs. Within a month’s time, pores in the treated area appear smaller as healing takes place. Even though you will notice fewer blackheads after the microneedling procedure, it is possible that new ones will pop up. This is particularly true for someone who is prone to this type of acne. To keep blackheads away as long as possible, you should incorporate a good skin care routine. 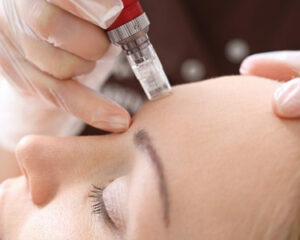 The results of your skin needling treatment should last about three to four weeks. Due to the gentleness and minimally invasive nature of the procedure, your skin is ready to undergo a new microneedling process after a month’s time. Microneedling offers immediate benefits for anyone looking to give their facial skin a makeover. This process is quick and nearly painless. The results are immediately visible. The benefits go beyond simply minimizing and/or eliminating acne, hyperpigmentation, fine lines, and wrinkles. The positive effects of the skin needling process last for weeks, giving you back the natural beauty of your countenance for weeks. Best of all – no known side effects exist. The procedure is safe, simple, and successful. Looking younger is a popular goal among people of all ages. Today, it is easier than ever to accomplish this task, partly because so many non-invasive anti-aging solutions are readily available at medical spas throughout the San Diego area. If you are interested in learning more about Microneedling, please contact Ageless & Beautiful Medical Spa for a no-cost consultation. If you want to recapture your youthful appearance, taking advantage of the benefits offered by anti-aging treatments is one of the easiest ways to do so today. Each non-invasive procedure is designed to accomplish one or more of the following tasks – eliminate unwanted fat, detoxify and tighten the skin, stimulate collagen, or infuse subtle enhancements to restore a younger, more radiant countenance. Facial scars, fine lines, bags under the eyes, sagging skin, and wrinkles can make you look older, diminishing your self-confidence. While you cannot completely remove the signs of aging, you can minimize their appearance. Your face is one of your most important assets, so why not protect it? Here’s a look at what you need to know about the most popular non-invasive, anti-aging treatments. Finding the perfect medical spa or anti-aging center is the first step in restoring a glowing complexion and reclaiming your youthful appearance. Not only should you find a facility specializing in non-invasive anti-aging treatments, but you should also look for providers who are fully qualified to perform this type of procedure in San Diego. It is even more important to find an anti-aging center offering the type of treatment you are considering in order to enhance the likelihood of achieving successful results. 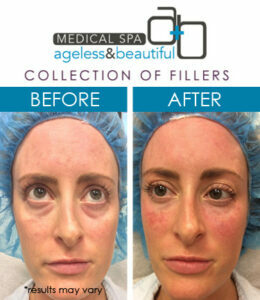 You may want to consider, Ageless & Beautiful Medical Spa, an anti-aging center with more than a decade of experience. Who Should Administer Anti-Aging Treatments? Only medical experts who are truly qualified to perform anti-aging treatments should administer them. Specials skills, training, and experience are required to determine which anti-aging treatment is indicated and to assess a patient’s suitability for specific procedures. While certifications showing evidence of training on specific devices are important, specialized training and education in anti-aging treatments are critical to ensuring safe procedures and a higher certainty of achieving excellent results. Qualified medical experts include MDs, RNs and Licensed Medical Aestheticians who have undergone documented training in the field of anti-aging. It is important to select a medical provider at an anti-aging center who has the appropriate training and experience in the specific treatment you are interested in receiving. If you are looking for long-term results and effective treatment for your anti-aging concerns, you may also want to search for an anti-aging center or medical spa with excellent online reviews. Why Ageless & Beautiful Medical Spa? 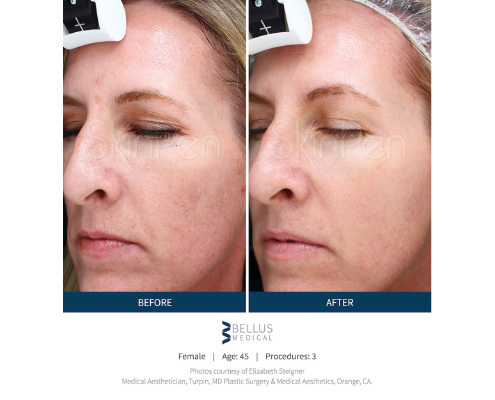 Ageless & Beautiful Medical Spa is home to San Diego’s leading anti-aging physician and a team of qualified RNs. This zen-inspired medical spa conveniently located in Hillcrest provides a comfortable, relaxing atmosphere where a variety of anti-aging treatments are successfully performed. The staff’s expertise and exceptional bedside manner are well documented in 5-star reviews. All of these aspects make it the best place to defy signs of aging with the latest treatments in the industry. 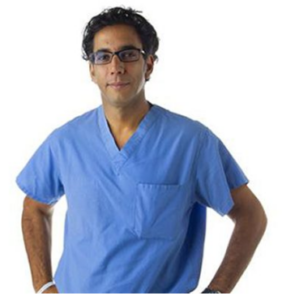 Dr. Sean Daneshmand looks at the overall picture, fully envisioning the likely outcome of each treatment in order to choose the one with the highest possibility of achieving the desired goal. The patient’s suitability is a key factor as is the expertise of the professional performing the treatments. Dr. Daneshmand is well-versed in the latest anti-aging solutions and has a team of highly qualified medical aestheticians, RNs, massage therapists, and acupuncturists. As the demand for shorter, gentler, more effective methods of body and facial rejuvenation grow stronger with time, sophisticated methods offering fast, longlasting results came into existence. The top six highest recommended anti-aging treatments in 2018 include CoolSculpting, micro-needling with SkinPen, dermal fillers, laser skin resurfacing with Active FX, Kybella, and Thermage. Each anti-aging treatment is tailored to the patient’s needs and subtly infuses age-defying changes that reshape the body, reduce redness, minimizes creases, and lightens discolorations. CoolSculpting offers a revolutionary breakthrough in the world of noninvasive aesthetic medicine. It gently delivers fat reduction without the need to diet or exercise. Prior to this modern development, liposuction was the only successful way to eliminate stubborn fat effectively and safely without requiring patients to also embrace an exercise and diet program. In fact, CoolSculpting is recommended for stubborn fat pockets that aren’t readily eliminated by dieting or exercising. CoolSculpting uses crylypolisis, a scientifically guided process, to eliminate fat cells by freezing them, effectively shaping the patient’s physical appearance to match their desired goals. The newest line of applicators delivers high-quality results in shorter treatment times, efficiently reducing the procedure to approximately one-half of the original hour needed to treat a single area. Bruising and discomfort have also been reduced as a result of newer technology. Today, CoolSculpting is the most demanded anti-aging treatment in the world. The treatment is entirely noninvasive and requires little, if any, downtime for recovery. 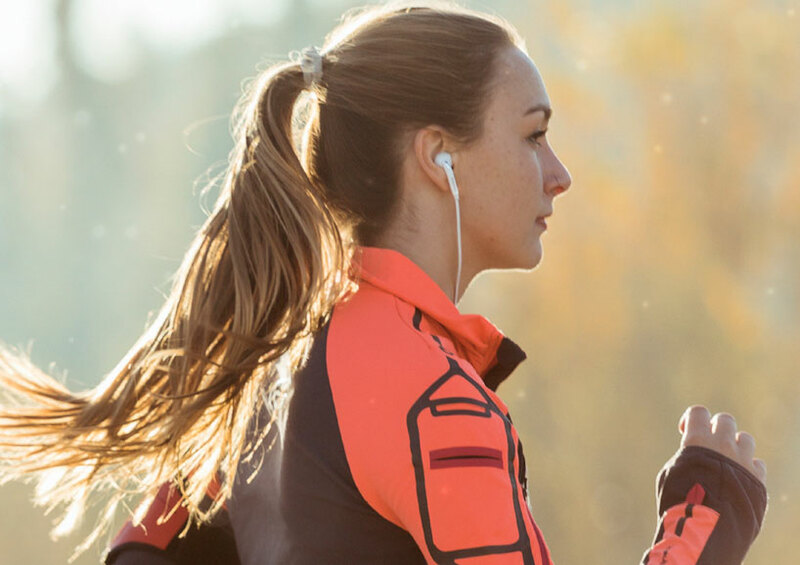 In fact, most patients are able to resume their daily activities within minutes of undergoing this noninvasive treatment that takes as little as 35 minutes. CoolSculpting is perfect for people who simply want to reduce stubborn fat areas beneath the chin or on the back of the arms. It is also the ideal solution for people who wish to reduce the size of their waists. Micro-needling with SkinPen is a popular procedure that is FDA-cleared for clinical use in treating facial acne scars in adults who are 22 years of age or older. Its popularity stems from the fact that it is minimally invasive and highly effective in growing new facial skin leading to a more natural appearance. Micro-needling with SkinPen reduces the appearance of facial scars, shrinks enlarged pores, and minimizes the appearance of stretch marks. It can improve the firmness of the skin as well as its texture, successfully restoring a youthful appearance. Visible results can last up to six months. During the micro-needling process, fine needles puncture the skin minimally to produce small, controlled skin damage that stimulates renewed production of elastin and collagen. Collagen and elastin are proteins that help provide healthy structure for the skin, allowing it to resist the development of wrinkles, fine lines, and sagging. Filling in facial folds and creases with dermal fillers is nothing new. However, the techniques used to do so are newer, leading to shorter treatment times and faster recovery. Facial or soft tissue fillers are injected directly beneath the skin’s surface. They are designed to smooth out common problem areas forming around the lips and eyes as well as on the forehead. The three primary methods used today include liquid facelift, lip enhancement, and Botox. 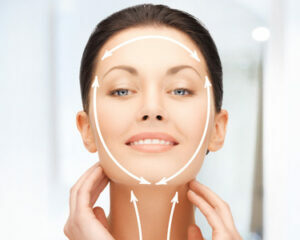 A non-invasive full-face rejuvenation is most commonly called a liquid facelift. It is designed to improve the firm and supple nature of skin in order to correct skin laxity and minimize the development and appearance of facial wrinkles. The aging process typically diminishes volume in the face, skull, and jaw due to the loss of bone mass as well as fat loss. 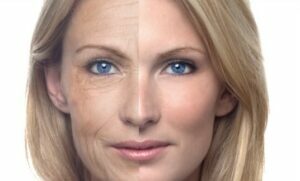 Detrimental skin changes also play an important role in facial aging. A liquid facelift is designed to successfully address these issues in order to restore a more natural appearance. 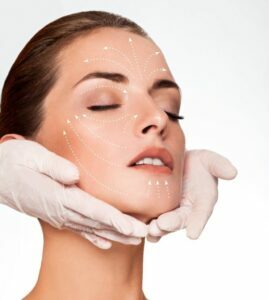 The treatment combines the use of dermal fillers with muscle relaxers in order to achieve the appearance of a facelift without resorting to surgery. Injections are often made beneath the eyes, along the jawline, and in the cheeks, nose, temples, glabella, chin, and forehead. Results typically last for one to two years. Lip enhancement is the term given to the cosmetic treatment designed to restore plumpness to the lips. This type of procedure restores hydration to the lips, readily creating renewed plumpness and diminishing the appearance of wrinkles and creases. Typically, the borders of the lips become more naturally defined, regaining their symmetrical appearance. Dermal fillers designed for this specific purpose include Juvederm, Volbella and Restylane. The results often last up to 12 months. Botox is a purified protein delivered through injections. Not only is Botox successful in banishing wrinkles and fine lines from the face, but it is commonly recommended as a treatment for a wide assortment of medical issues. Botox is commonly used to treat the frequent occurrence of migraines, excessive sweating under the arms, uncontrolled drooling, and muscular disorders such as muscle stiffness and spasms. Botox is often injected to remedy a number of bladder disorders, including overactive and leaking bladder, as well as a variety of eye disorders, including uncontrolled blinking and crossed eyes. Different forms of botulinum toxin solutions are used, depending on the problem being addressed. The injection site also varies according to the issue being treated. For example, when treating frequent migraines, a trained professional injects the muscles of the neck and head. When used cosmetically, Botox injections are highly effective in treating facial creases ranging in severity from moderate to intense. It blocks signals between the nerves and facial muscles in order to diminish the visibility of frown lines and crow’s feet. Tiny injections are placed directly into muscle tissue. Facial lines fade because muscle movement diminishes as the nerves become restricted. The results are temporary but should last approximately four to six months. Fighting the signs of aging often involves treating a variety of skin issues, including acne scarring, skin discoloration, fine lines, sagging, enlarged pores, and wrinkles. Fractional laser resurfacing has risen in popularity, partly because of its flexibility in creating noticeably visible results in all of these areas. Plus, it is less painful than dermabrasion and chemical peels. Laser Skin Resurfacing with Active FX uses powerful fractional laser technology to gently remove upper layers of skin and stimulate collagen production. As a result, new skin growth is firm and tight, allowing it to resist unwanted changes such as creasing and wrinkling. 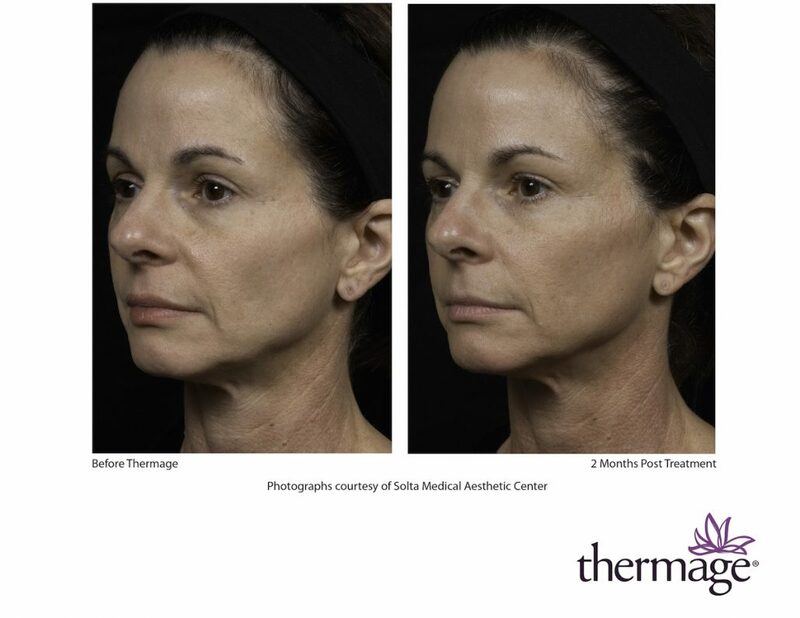 Due to enhanced collagen production, your skin looks plumper than it did prior to your Active FX treatment. 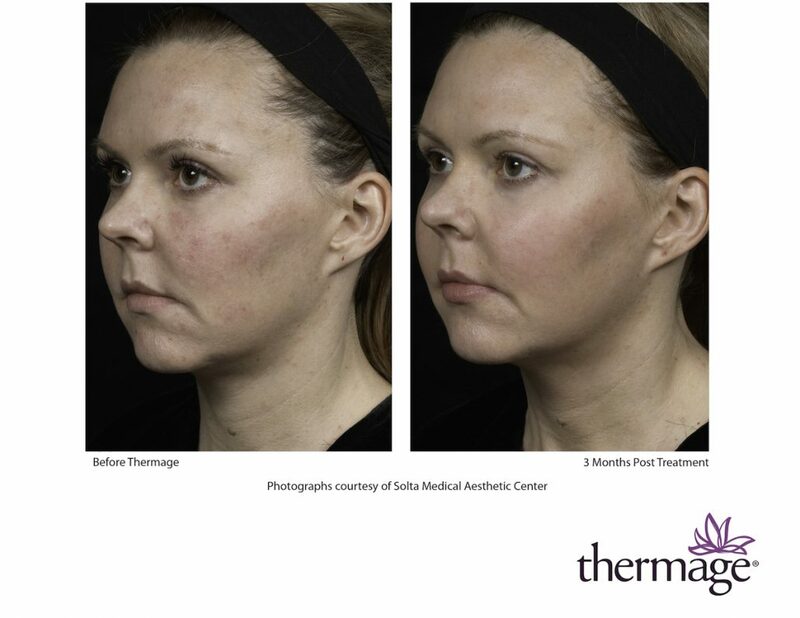 Fractional laser resurfacing produces excellent outcomes with minimal recovery time. Most patients require only a single treatment. Given proper skin care, the results of laser skin resurfacing last for several years. As people age, fat develops in unwanted places. When it does so beneath the jawline, it sags visibly enough to look like a second chin. A non-invasive anti-aging treatment, Kybella gently eliminates the fat creating the appearance of a double chin. In addition to minimizing the fullness of the area beneath the chin line, Kybella improves the tightness of the skin by stimulating the renewed production of collagen. Kybella is a once-and-done procedure that provides permanent results. It eliminates the fat forever from this area, restoring the natural appearance of the jawline and delivering a younger countenance. 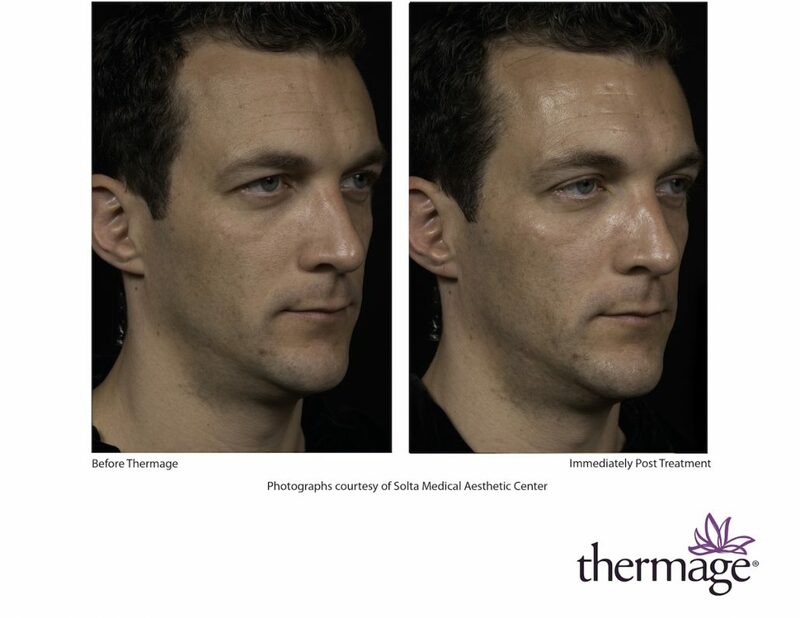 Thermage embraces deep-heating technology to tighten and contour the skin. No injections are needed, and surgery is not involved during this skin-tightening procedure, which is entirely noninvasive. 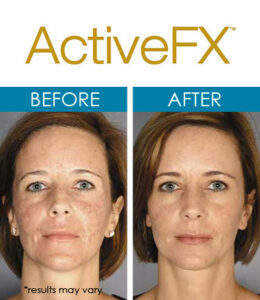 One of its benefits is that it works well on all skin tones and types, unlike lasers. In most cases, minimal or no downtime occurs, allowing patients to resume their daily activities immediately after the procedure is performed. Typically, only mild side effects are experienced, and they may include minor blistering, swelling, or redness. 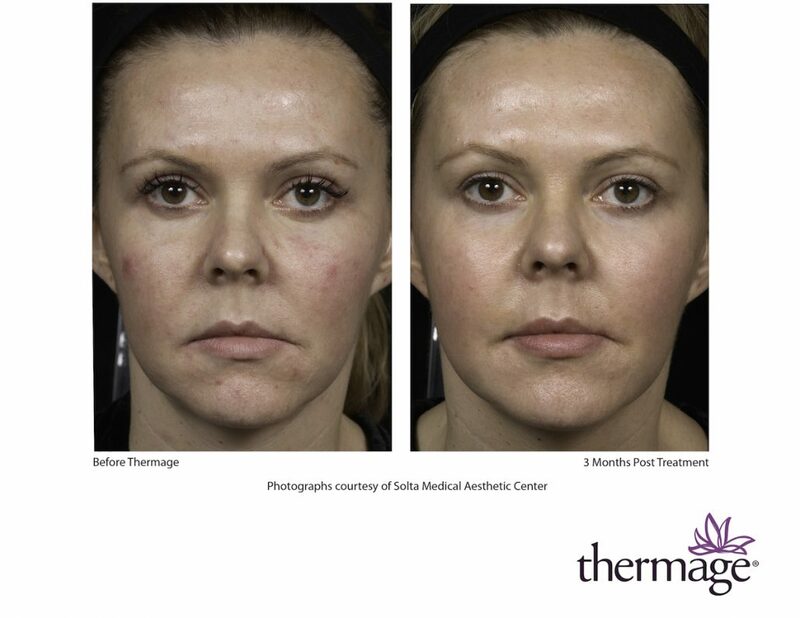 Thermage treatments use Capacitive Radio Frequency technology, also known as CRF technology, to heat all three layers of skin, successfully stimulating collagen production in order to tighten the skin’s appearance. Skin texture and tone also noticeably improve during this noninvasive procedure. 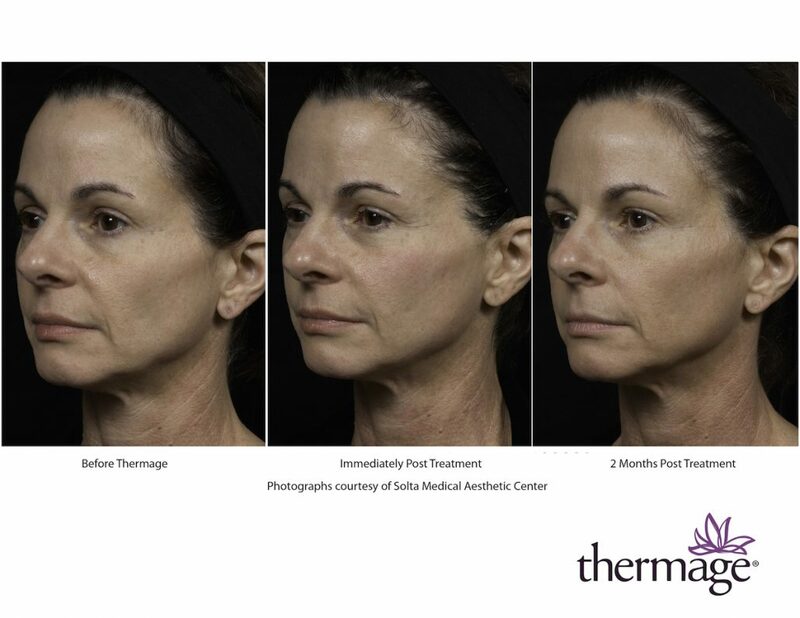 Thermage treatments produce continuous enhancement in collagen production, creating ongoing improvement in the tightness of the skin for as long as four to six months. This anti-aging procedure takes place during a single, pain-free session. 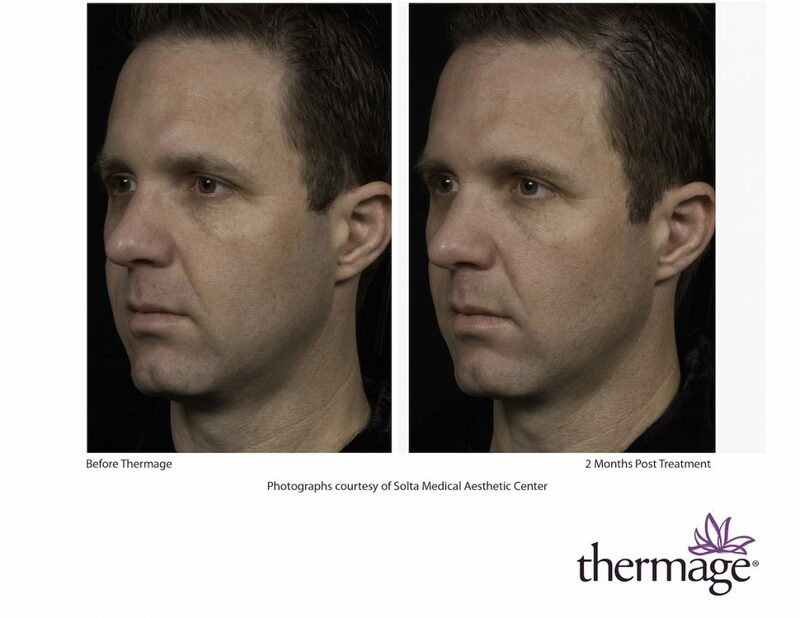 Thermage treatments are available for many areas of the body, including the stomach, buttocks, legs, arms, hands, neck, face, chin, and eyelids. Looking younger is a popular goal among people of all ages. Today, it is easier than ever to accomplish this task, partly because so many non-invasive anti-aging solutions are readily available at medical spas throughout the San Diego area. 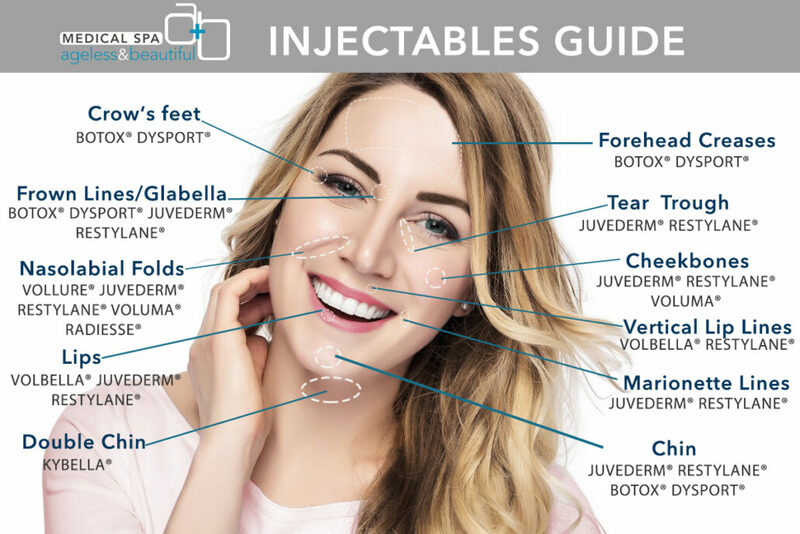 If you are interested in learning more about one or more of these cosmetic procedures, please contact Ageless & Beautiful Medical Spa for a no-cost consultation.